Cruising the country in your mobile palace is one of the best ways to see the unique sites that each state has to offer, and advances in technology have made this type of living easier than ever. There are several smartphone apps that can guide your way, whether you’re looking to find the nearest national park or the closest Walmart parking lot to stay overnight. 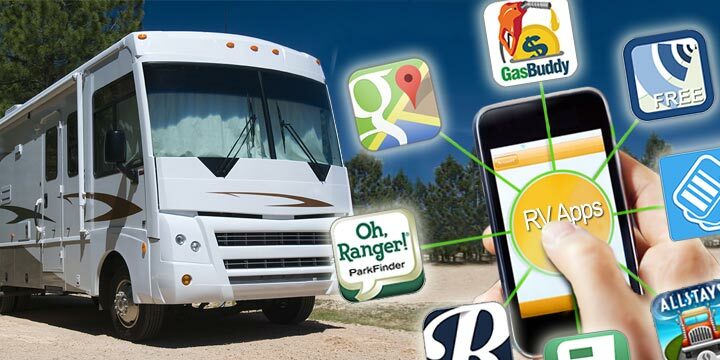 You’re bound to find use of one of these apps on your RV excursion! Check out this list for the best apps that will make your next road trip smooth and simple. It’s very likely you already have this app on all of your phones and tablets, but if not, be sure you have it before your next trip. You’ll be able to plan your entire route including stop overs and be alerted of things like traffic delays and road construction. You can also use the app to search for places like parks and restaurants anywhere along your route and add them into your itinerary. Google maps is an endlessly useful app. I guarantee that you will find yourself using this app–whether you’re on a great RV excursion or running errands back at home. If you’re interested in seeing some of the nation’s natural treasures or you need a break to let your kids run around, the Oh, Ranger! Park Finder app can help. With the option of searching around either your current area or your destination, the app allows users to search for local, federal and state parks. A short description and recreation possibilities are listed, as well as the distance from your destination. If you enjoy camping, this app can also help you locate parks that feature campgrounds. 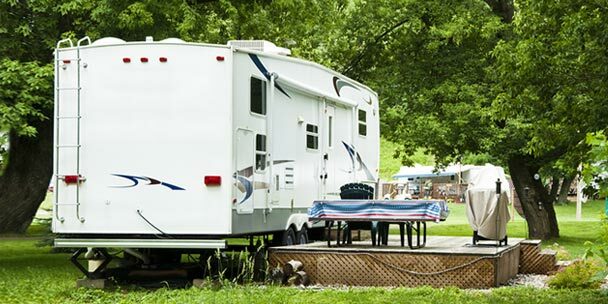 Additional campground search apps that we love are We Camp Here Campground Search, ReserveAmerica, Passport America, Campgrounds Plus, RV Parky and RV Camps Locator. Complete database of every national and state park in the U.S. 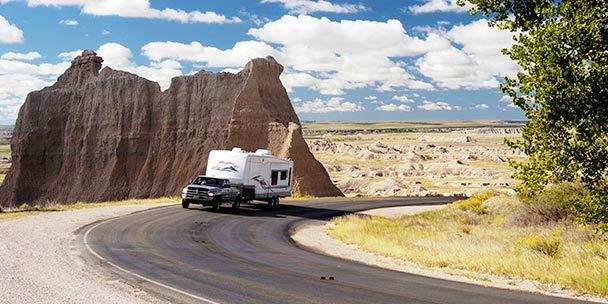 If this is your first time driving an RV or you’re taking a new route, you’ll want to download this app. Knowing facts like which roads have low clearances and pull-outs for runaway trucks can be crucial to your safety. Also, travel centers and truck stops are listed in this app, making refueling easier for RVs and trailers. This app helps you make the most informed decisions possible when planning your next trip. Filter search system including ATM finder, parking, etc. This app accesses your location and provides you with a list of nearby attractions you may be interested in. Places are organized into sections such as hotels, restaurants, shopping, history, services and more, making this app useful whether you’re on a road trip or a night on the town. This app also features details about your destinations, such as ratings, photos, reviews, and contact information. GasBuddy is a free app that encourages savings by way of cutting your gas expenditures. This app shows you the cheapest gas options around you, so you don’t end up wasting more money than you really need to. This app is as useful on the road as it is back at home. GasBuddy relies on user-generated data reporting for the most recent gas prices. It offers incentives for users to continue reporting the most up-to-date prices. Did you know some stores will let you park overnight in their parking lot? This little-known app lets you know where every Walmart on your route is and whether or not they allow overnight parking. If that’s not enough, it also provides you with their address and phone number so that you can call ahead, just to be sure. We have provided two separate but comparable apps for this purpose. When your waste tanks are full and you need to empty them, the last thing you want to do is drive all over looking for a sanitary dump. With the Sanidumps RV Dump Station Locator app, you’ll be quickly directed to the nearest dump station, making waste management simple and efficient. This is a handy app that you might not initially think about needing, but you’ll be thankful for it when you really do need it. This app will show you nearby TV towers that you can direct your antenna toward. While road trips are packed full of fun things to do and see, there are also times when you may want to relax and enjoy your favorite show. Use this app to find free TV and HDTV signals while you’re on the go. One of the quickest ways to ruin a trip you’ve been planning for months is to throw some nasty weather into the mix. Use this app to access the largest network of weather stations in the country to get alerts, forecasts, radar and current conditions. A big storm does not have to ruin your plans; if you have access to current forecasts, you can arrange plans to avoid surprises in weather. Traveling is one of the best times to rack up rewards points, and Key Ring is one of the best apps to do it with. No more fumbling through your wallet or purse for rewards cards to different restaurants and grocery stores; all your loyalty cards can be stored in one app. 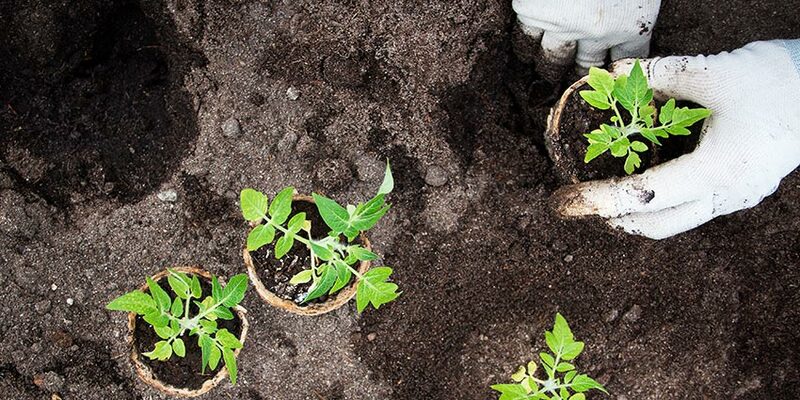 With over 700 programs supported, you should be able to find any establishment you need. In addition to storing your rewards number, the app can also file free coupons from top retailers. If you’re looking to save money and hassle while on the road, the Key Ring app would be a great addition to your collection. One of the worst things that can happen is to be on the road, hours from home, and realize you’ve forgotten something. This unfortunate situation can affect anyone and has likely happened to you before, but thanks to the RV Checklist app, you can avoid it in the future. Whether you need to remember to lower the antenna or get a chair back that you loaned to a camping neighbor, the app will allow you to customize your list and store it for future use, making getting out the door easier each time. This simple, intuitive app is one you definitely won’t want to leave home without. There are so many businesses that offer free WiFi that you shouldn’t need to use much data while you’re on the road, but finding those places can be difficult. The Free Zone WiFi and other free WiFi finder apps have eliminated that problem, keeping offline records on your phone so you never have to worry about being unable to find service again. A smartphone app isn’t usually on the list of must-haves for travelers and campers alike, but it can definitely make your trip easier and more enjoyable. 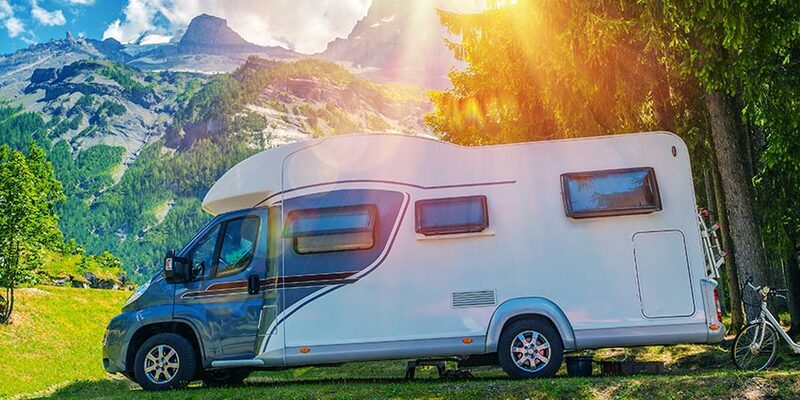 Use this list to determine which apps are perfect for you and make your next RV trip the best one yet. 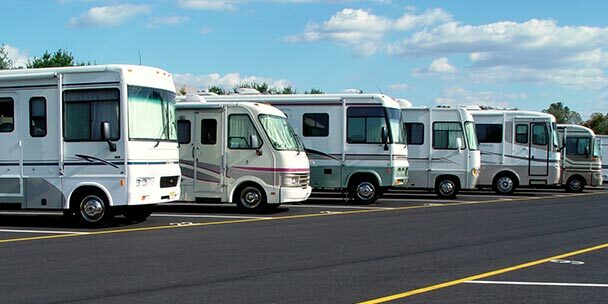 Learn what your realistic towing capacity is with RVtowCheck.com before you buy that tow vehicle or trailer. I have Oh Ranger on my Android smartphone. No problem. Thanks for the correction! I’ll have that fixed right away. This is a great list of RV apps. And I already use about half of these. Thanks. WAZE – I use it every day. 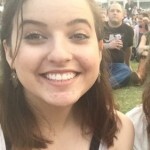 Fantastic list Erin! Thanks! ???? Rvparky is another one to check out! It’s waaaaay out of date. Most in Northern California that I’ve checked into are either closed, the phone number doesn’t work or some other problem. Free for a reason. The Free Zone Wi-Fi states not available in your country. So not available in the USA? You should add RVParky to your list. 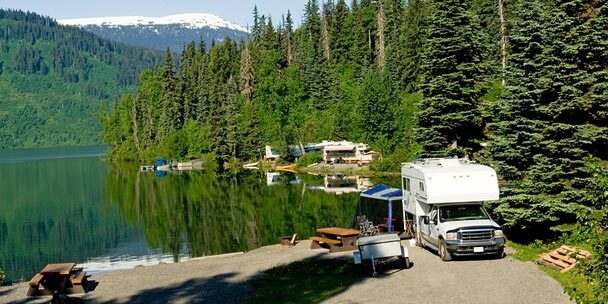 It is the best I have found to find rv parks. I can’t seem to get the app to come up! How exactly do you type it in. You should update the list to include Gas Guru.It’s much more accurate than Gas Buddy because the prices are not user input and they are updated many times per day. Here’s one I saw on Johnny Jet and was highlighted in Forbes that I downloaded and have found invaluable. Crime and Place (for iPhone) You can run it in compass mode and show the historical safety of your current location, or in map mode where you can enter an address, a key word (hotel, wal-mart for example). Because I drive by myself a lot, and also boondock at WalMarts where permitted I can be certain that I am staying at a WalMart in a safe area rather than a sketchy one. I’ve arrived late at WalMarts en route before this app, only to find that I was NOT comfortable staying, walking dogs, etc, but too tired to drive further. Now I’m prepared with a safe location. My other favorite not listed app is Glympse You can send someone a text of your location and it will allow that person to follow you for a specified period of time. It saves me a ton of phone calls and distractions when my family can just look at the Glympse app and see where I am in my journey. Thanks for your list, I’m always looking for things to make life simpler and safer on the road. Unfortunately you cannot get allstay on google anymore. It was one of my favorite apps.